OPPOSITION Senator Gerald Ramdeen yesterday warned the justice system can crash. He based his warning on claims of questionable appointments in the system. In his contribution to debate on the Criminal Division and District Criminal and Traffic Courts Bill 2018 in the Senate, Ramdeen queried the appointment of Christie Anne Morris-Alleyne to the post of court executive administrator. Ramdeen asked whether Morris-Alleyne was appointed by the Cabinet and whether her post was advertised. He said Morris-Alleyne was over the age of 60 years and should have been appointed by the Judicial and Legal Services Commission. Senate Vice-President Nigel De Freitas cautioned Ramdeen about bringing members of the Judiciary into the debate. Noting that Attorney General Faris Al-Rawi praised the establishment of the Children and Family Court Division of the High Court, Ramdeen claimed things are collapsing there. He wondered whether this was a case of family and friends being appointed to positions they were unqualified for. Having previously visited facilities operated by the US Supreme Court in Washington DC and the Privy Council in London, Ramdeen said TT cannot be proud of the current facilities at the Hall of Justice in Port of Spain. He declared it is unacceptable that the building has no functioning public toilets and judges are forced to adjourn matters because the air conditioning has not been working for the last six months. According to Ramdeen, the situation at the Hall of Justice has been underscored by a recent email issued by the Registrar of the Supreme Court. 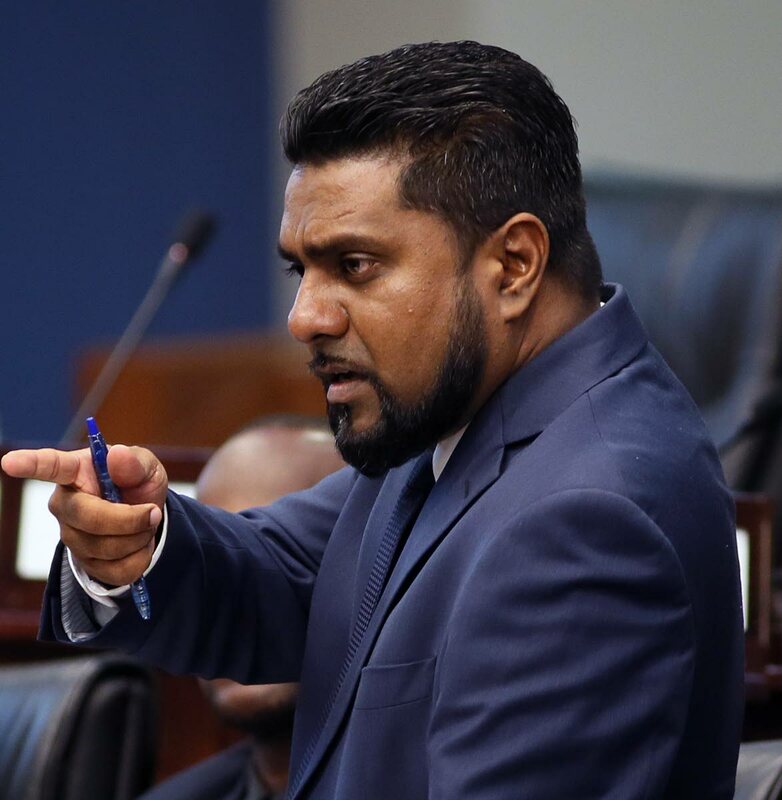 He said that email indicated that no one will be rostered to work at the Hall of Justice, “for more than two hours.” Ramdeen also said he was unable to photocopy a bill to use in the debate because there were no working photocopiers in the law library at the Hall of Justice. Opposition senators thumped their desks when Ramdeen asked why Government would be seeking to build more courts when, “we can’t fix what we have now.” Ramdeen claimed the administration of justice in TT is “at its lowest point.” He predicted the legislation would cause “absolutely no improvement” to the country’s justice system. Reply to "Justice can crash"